We're currently in the middle of The Avengers' triumphant romp to box-office glory, so this is the perfect time to spotlight my favorite episodes from Joss Whedon's wonderful space western. 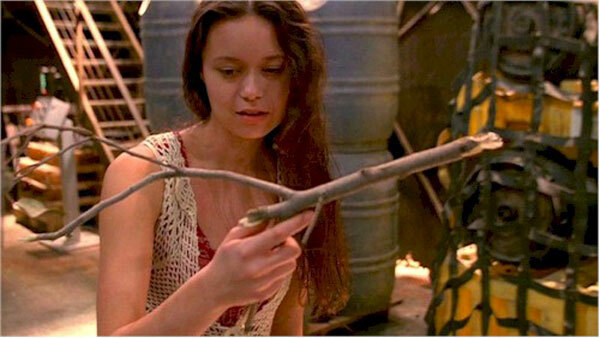 Firefly was actually my first consistent exposure to Whedon and his trademark style. I caught up with it on DVD a few years after it aired originally on Fox. There are 14 episodes, so creating a Top Five seems like a silly endeavor. However, this was actually a really difficult list to put together. Two excellent ones (Our Mrs. Reynolds and Safe) didn't even make the cut, which says a lot about the quality of this remarkable show. The combination of humor, action, and emotion transcends the confines of any particular genre. Whedon and Tim Minear deserve much of the credit, but they couldn't succeed without a strong cast. The nine lead actors (plus many of the recurring ones) create unforgettable people who we love right from the start. Nathan Fillion, Adam Baldwin, Alan Tudyk, Jewel Staite, Summer Glau, and the entire gang are perfect matches for their characters. I know there are a lot of Firefly fans out there, so I'd love to hear about your favorite episodes in the comments section. Let's check out the picks and see if we agree! Classic Quote - Mal: "We have done the impossible, and that makes us mighty." 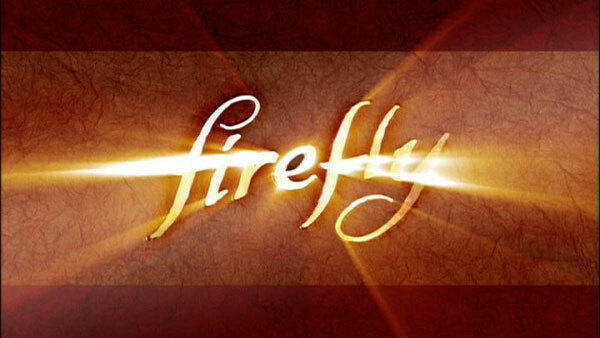 Not to be confused with the theatrical movie that followed the show, the two-hour Firefly pilot doesn't always get the credit that it deserves. Many fans discovered this show through DVD, so "Serenity" was the first episode that got them hooked. It's a bit more serious than the other episodes, particularly in its depiction of Malcolm Reynolds (Nathan Fillion). However, it still lives in the same world and effectively introduces us to the nine main characters. The prologue during the Unification War gives us an excellent look at the backdrop for this universe and Mal and Zoe's (Gina Torres) perspectives. There are shocking moments, particularly Kaylee getting shot by the Alliance agent. We also see Mal's "shoot first, and ask questions later" approach when he takes out an enemy without a second thought. Although Fox didn't air this episode first, it serves as a perfect companion piece to the Serenity movie. The highly suspenseful moments avoiding the Reavers telegraph their much-closer battles with the nasty villains in the feature film. Some fans may say to skip this pilot, and I completely disagree. Any exploration of this show is incomplete without the world building that happens during this opening story. Classic Quote - Mal: "And I never back down from a fight!" Inara: "Yes you do! You do all the time!" "Shindig" is Firefly's fourth episode and the first one that I found truly charming from start to finish. It's written by Jane Espenson, a household name for anyone who knows Whedon and the sci-fi/fantasy genre in general. She gets the character interactions just right, particularly the repressed feelings of Mal and Inara (Morena Baccarin) that come to the surface. There's a costume ball, an unconventional job, and even a fencing duel for honor in the end. Although it's mainly an episodic story, it tells us so much about each character and does it in the most entertaining fashion possible. The comic talents of Nathan Fillion are wonderfully displayed while he struggles to stay alive against a talented swordsman. This is also a great showcase for Jewel Staite as Kaylee, who's maligned by the snobbish women but adored by the guys. Most shows wish they'd have an episode this good in their entire first season, and this is only the fourth one. Classic Quote - River: "River's not on the ship. They didn't want her here. But she couldn't make herself leave. So she melted. Melted away. They didn't know she could do that. But she did." This series finale offers a classic scenario where a mysterious figure boards the ship and deliberately takes out each crew member. Jubal Early (Richard Brooks) is a bounty hunter willing to do anything to capture River (Summer Glau). With a name based on a famous Civil War general, Early is cool and philosophical about his job. It's a fascinating episode, and Brooks' performance has connections to Chiwetel Ejiofor's excellent role as The Operative in the film. This is a standout episode for Glau, who is the only character who's a match for the efficient villain. The opening scene with her holding a gun but seeing a stick is one of the best in the entire series. Although it wasn't initially designed to be the finale, this story actually bookends the show well and brings positive development for River. Many questions, including Inara's possible exit, or left open-ended but clarified in the movie. Whedon wrote and directed this episode, which is one of the series' most intriguing scripts. Classic Quote - Mal: "You turn on any of my crew, you turn on me!" This classic heist episode gives Sean Maher the chance to shine with Simon leading the gang on a daring mission. He's trying to get access to technology to learn more information on River's brain, while they're seeking a valuable score. Although the stakes are high when venturing into Alliance territory, this episode has some very funny moments. Jayne's (Adam Baldwin) attempts to learn his one line as a fake EMT are classic. The intriguing part is that he's already set them up for betrayal and revealed their plans to the authorities. His greedy move brings down the hammer when the blue-gloved men arrive and start killing everyone. 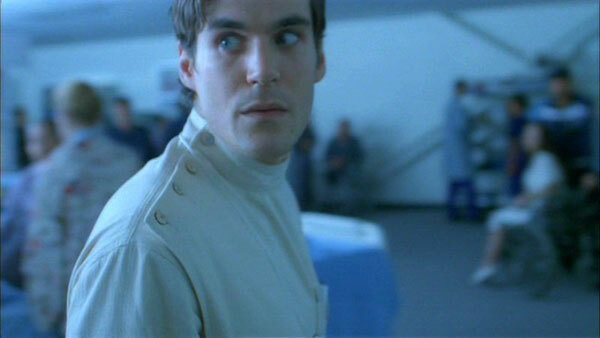 This leads to a stunning moment with Mal where he seems ready to kill Jayne. Both Fillion and Baldwin are at the top of their game during this scene, which pays off a conflict that's been growing throughout the series. This raises "Ariel" above just a fun action story and makes it one of my favorite episodes. 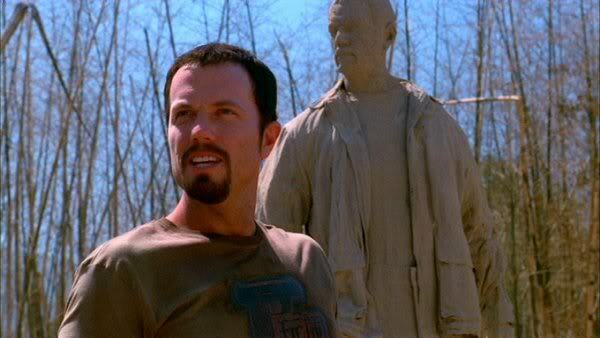 Classic Quote - Mudder: "He robbed from the rich and he gave to the poor / Stood up to the man and he gave him what-for / Our love for him now ain't hard to explain / The Hero of Canton, the man they call Jayne!" When I'm having a rough day, one of the best ways to change my tune is to listen to the "Ballad of Jayne Cobb" song. This rousing tune is one of many great touches in this fun look at a legend gone wrong. When the gang arrives in Canton to retrieve some goods, they're stunned to discover that Jayne is a folk hero. It's a pretty straightforward story but is very enjoyable because of Baldwin's confused performance. On one hand, Jayne likes the attention, but even he can't accept the fake praise after a while. It also relates wonderfully to the famous quote "When the legend becomes fact, print the legend" from John Ford's The Man Who Shot Liberty Valence. Even when Jayne's falsehoods are revealed, the crowd can't accept the fact that their hero is a fraud. Classic Quote - Mal: "Try to see past what she is, and on to what she can be." While some episodes might shift around this list, the decision of which to place at #1 was easy. This look back at how the crew originally formed is pitch-perfect in every way. 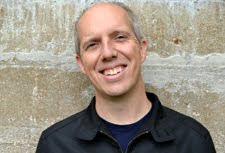 Tim Minear's script hits all the right emotional notes and stays true to the characters while showing them in a different light. 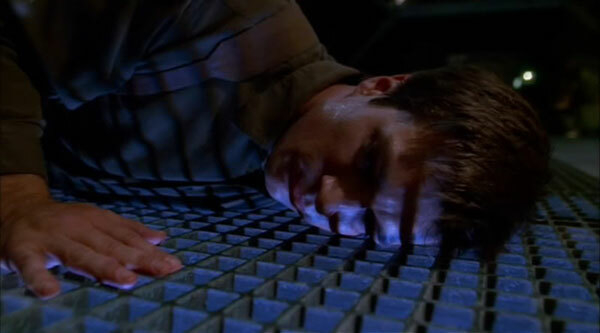 The framing device of Mal struggling to stay alive and fix the ship works equally well and connects smoothly to the flashbacks. The story begins with Zoe being seriously injured, and things get even more dire after that point. That said, this is an uplifting episode that presents the idea that fate played a major role in everyone coming together as a family. The final shot of Mal falling in love as he spots Serenity in the distance brings chills to me every time. It's the most complete and emotionally affecting episode on this show, which is saying quite a lot given such great competition from the others. I like a lot of TV shows, but there are few that I truly love. Firefly is one of those rare examples, and "Out of Gas" reminds me why it's such a wonderful series. I'd love to hear your thoughts about this list. Which Firefly episodes should be up here instead? What would you remove to add them? You should also check out the archive of past Top 5 Lists if you've missed them. I sat down one weekend and watched just a few episodes just to see if I would like it and ended up watching the whole thing in under a day. I loved it. Great article. Will be reposting this on my facebook page soon. Thanks Vern! I had a similar experience where I picked it up on Netflix and watched part of one episode, then just decided to buy the series. Those DVDs have been played a lot over the years. The episode I'd try to fit in here is War Stories, if only because it's the one in which Wash gets a few great featured scenes. It's also one that has some great Zoe moments. When Mal and Wash are being tortured by Niska, their yelling match is great. It's so evident that Mal is winding up Wash to ultimately save him, and it's one of my favorite moments of the series. Great list. Hard to argue with your choices. Steve, War Stories is also a great episode. This is what made this list so hard! Wash is one of my favorite characters, and that episode has some of his best moments. I also love the funny scene near the end with Zoe where she talks about how Mal wants to take out the bad guy himself. His "NO!" response is just classic. An actor buddy of mine plays the used spaceship salesman who frames the story in "Out Of Gas." Even if that wasn't the case, I'd still agree with your ranking of that epi as #1. I actually saw the film first, then went back and watched the series, and enjoyed each episode as it helped me flesh out the story. Good stuff! Thanks! I feel like there are eight or nine episodes that could make the top five, but Out of Gas was my #1 right from the start. You bring up a good point of why the movie works so well. It's still fun even if you haven't seen the show, and going back and watching the episodes just makes it better. I can't argue with any of these choices, although the one where Mal and Wash get tortured is a pretty powerful episode, too. I've never heard anyone mentioning skipping the pilot when watching the DVDs. It's not airing the pilot that was Fox's biggest mistake to begin with (followed close behind by airing the episodes out of order, and putting the show on Fridays at 9:00 PM). I don't think it's a common feeling, but I have heard some people calling the pilot "boring" compared to the other episodes. I strongly disagree but thought it was worth noting. You definitely point out some of Fox's biggest mistakes with Firefly. From what I've read (I didn't watch it when it originally aired), they also didn't really promote it at all either. I tried to watch 'In the Mood for Love' recently and the copy I had didn't work out well. What was the way you were able to watch it? I actually rented the DVD from the library, so it worked out fine. If my memory serves me well, it was the Criterion release and didn't have any issues. Sorry my last reply went to the wrong thread. As far as Firefly goes, I love the series and almost all the episodes are gems. I'd have to say my favorite would be 'Out of Gas' as well. It just works fantastically and is an example of the perfect 40 minute television episode. No problem about the wrong thread. Glad that you're also a fan of Out of Gas. Firefly has a bunch of great episodes, but that one was the first thing I put down when I started the list. It's basically perfect. Definitely agree- Out of Gas is number One! The love story between Mal and Serenity is presented top-notch. Thanks! I've watched Out of Gas a bunch of times, and the final scenes get me every time. I first borrowed Firefly from the library and was blown away. I ended up buying the series after a few years - this is despite wanting to not give Fox a cent for having cancelled the show; I felt that angry but wanted it so much. When I first watched the pilot I was amazed how the story would seem to reach points where it could have finished but it didn't and there would be more story still. The thing that amazed me, for the pilot and all the episodes, was how much was packed into each one! I've rewatched it many times enjoying it each and every time. It's the only show I do that for. Extremely forlorn that I couldn't get more of it; because of Fox. I agree about the large amount of story in every episode. Some shows have lasted several seasons and not included so much. I think that's one reason the show has lasted so long. People connect with all the characters because they all play a key role in the story. Although Nathan Fillion has shown he can carry a show, this isn't a star vehicle. Everyone brings something to the table. I had a similar experience as you with getting in it. I started watching the first episode from Netflix and realized I was hooked and just bought it. I haven't regretted that decision at all, and those DVDs have gotten some serious play.